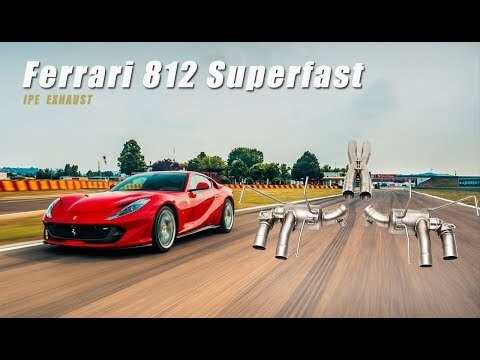 The Ferrari 812 Superfast V12 6.5 litre combined with an iPE system, excels in every imaginable aspect with extremely loud and aggressive high pitch like sounds for anyone behind the steering wheel who is searching for a spirited driving experience. Our aim is to bring back the Italian supercar character by giving it that certain tone. We accepted this challenge and created our own masterpiece in order to make the V12 sound like a racing automobile symphony. Our outstanding design with precision craftsmanship has refine all aspects of the exhaust sound. Our full Valvetronic exhaust system delivers both enjoyable pure adrenaline racing sound and factory like regulations, all accessible and integrated via the Manettino switch. Each part of the exhaust system is individually designed to perfectly fit onto the Ferrari 812 and to create a unique and breath-taking sound that will trickle those feelings and senses, sending them into your consciousness, giving you a bit of freedom away from the busy stressful working environment or for drivers who want a bit of attention grabbing sound.